The programming of Erich Wolfgang Korngold's lyrical Violin Concerto at a BBC Prom on August 10 is confirmation that Korngold is getting the recognition he rightly deserves. But there is still an awful lot of deserving music that is crying out for rediscovery, including that on the newly released CD seen above. Quincy Porter (1897-1966) was born in New Haven, Connecticut. He studied at Yale and in Paris and then held a series of high ranking academic positions in America after founding the American Music Centre in 1939 with Aaron Copland and Howard Hanson. His Concerto for Two Pianos and Orchestra (now known as the Concerto Concertante) won a Pullitzer Prize in 1954. Quincy Porter was an early advocate of hi-fi sound, and all the rooms of his retirement home in Bethany, Connecticut were networked for audiophile sound. The 1948 Concerto for Viola and Orchestra is the main work on this invaluable new CD. Comparisons between it and Korngold's Violin Concerto written just three years earlier are inevitable but a little unfair. Quincy Porter's own instrument was the viola and he made an important but now overlooked contribution to the viola repertoire. The Concerto is dedicated to William Primrose and the first performance was given by Paul Doktor with the CBS Orchestra conducted by Dean Dixon, the African-American conductor who featured here in October 2008. 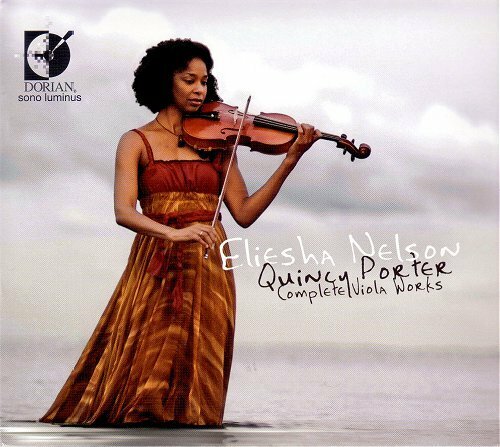 Dorian's disc of Quincy Porter's Complete Viola Works maintains the musicians of color connection as the quite superb soloist is Alaskan born Eliesha Nelson and her accompanist, on piano, harpsichord and the podium with the Northwest Sinfonia, is Grammy winner John McLaughlin Williams. As I listened to John McLaughlin Williams accompanying Ms. Nelson in Quincy Porter's wistful Duo for Viola and Harpsichord I was reminded of this story from the compilation Zen Flesh, Zen Bones by Paul Reps.
'Give me the best piece of meat you have,' said the customer. At the words Banzan became enlightened. An enlighted one is a bodhisattva, described by Jeff Greenwald as 'the mindful and mysterious men, women and children who seem to recognize, almost from Day One, their peculiar function on this planet'. John McLaughlin William is a veritable bodhisattva. His peculiar function on the planet is to selflessly champion little known and deserving music. In his view everything in the music market is the best, from Messiaen (which he won his Grammy for) to Quincy Porter. Thankfully the pursuit of musical fashions and playing the anniversary game is not what John McLaughlin Williams is about. 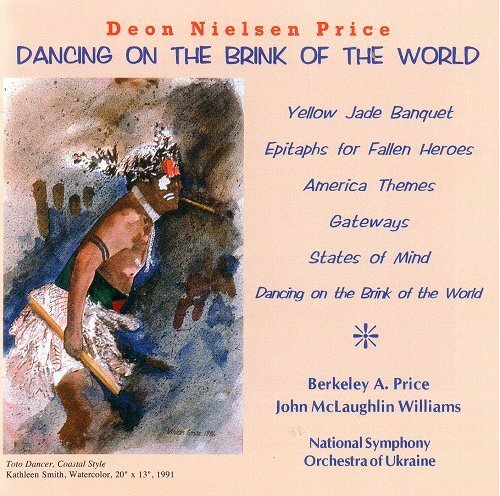 As well as Quincy Porter's Complete Viola Works he has just recorded a much-needed disc of music by another American composer, Deon Nielsen Price (if you like Alan Hovhaness try this), conducting this time the National Symphony Orchestra of Ukraine. There are much easier ways to earn a living and you are not likely to find either of these discs in BBC Radio 3's classical chart. But that is not what being a bodhisattva is about. "Quincy Jones' wistful Duo for Viola and Harpsichord"
That would be worth hearing, however! MM, thanks for spotting that. Too many musicians of colour in my head. Now corrected, but it did make me think a post on Quincy Jones would be a good idea. It's always the Korngold Violin Concerto... can we have a different Korngold work, please?! Gavin, look no further than the Korngold tag at the bottom of the post. My goodness, how have I missed Quincy Porter? Thanks for posting this.